November 19th 2017 - ATLANTIS, Fla. – This weekend, the South Florida PGA Junior Challenge Tour presented by The Honda Classic held Challenge Event #12 at St. Lucie Trail Golf Club in Port St. Lucie, FL. This was the final regular season Challenge Tour event of 2017 before the season ending Junior Tour Championship. Vero Beach native Cade Coffey opened up round one with an even-par 72 to take the early lead in the boy’s division. Coral Springs native Sebastian Sacristan fired an opening round 73 to put himself within striking distance of Coffey. Wellington native Estevan Valdes had a memorable round on Sunday. Valdes managed to make his first career hole in one on the par 3 #12 that was playing 165 yards. Valdes ended up firing an even-par 72 on Sunday, but it wasn’t enough to overcome Coffey’s lead. Coffey put together a final round 75 to capture the boy’s overall title. Valdes took home the boy’s 16-18 age division, while Palm City native Garret Giles took home the boy’s 13-15 age division. Hina Matsui has been playing out of the Club Med Golf Academy in Port St. Lucie for the past two years. 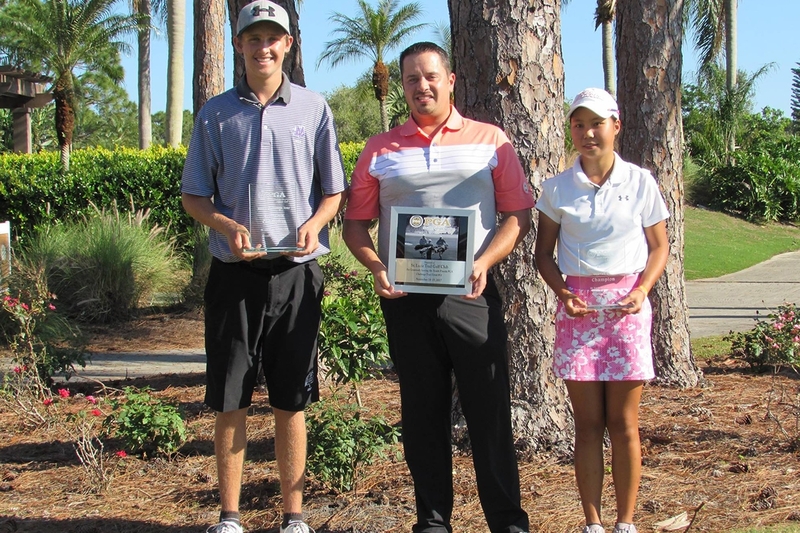 This weekend, the youngster had a breakthrough win at St. Lucie Trail Golf Club. Matsui fired an opening round 79 to take a one stroke lead in the girl’s division. Matsui put together an impressive 3-over-par 75 on Sunday to capture the overall girl’s title by nine strokes. Valentine Savioz of Port St. Lucie took home the girl’s 13-15 age division, while Weston native Ana Maria Lopez would take home the girl’s 16-18 age division. Boca Raton native Alex Heard had another impressive week after rounds of 72-75 to capture his fourth win in the boy’s 11-12 age division this season. Boca Raton native Nicole Yugay took home the girl’s 11-12 age division after rounds of 81-77.